Once you file a patent application or a provisional patent application with the US Patent and Trademark Office, your patent is officially �pending.� It may take months or even years for your application to fully make its way through the system and come out the other side as an approved patent, and while �patent pending� status has no official protections, the unofficial protections are enough for you to begin marketing your invention. the USPTO means you can attach the words �patent pending� to any prototypes or production models you create, and this warning is enough for most businesses to avoid trying to steal your invention. 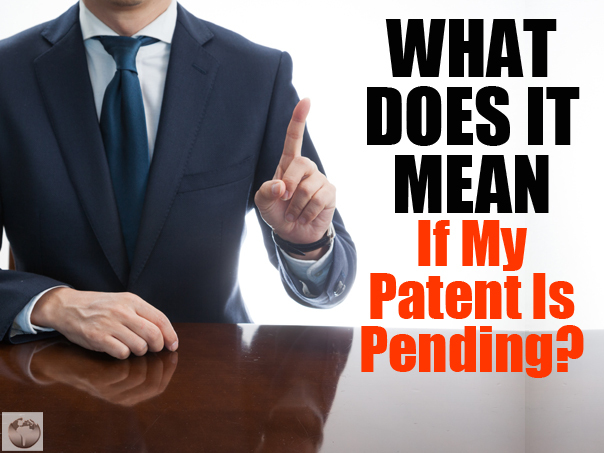 While you may not be able to sue for patent infringement while your patent is pending, once your patent is issued you�ll have the right to sue for infringement dating back to when your patent is published, which is 18 months after the filing date no matter what. If you�ve researched the patent library to make sure your invention is unique and you�ve worked on your application to make sure it�s both specific enough to earn a patent but general enough to fend off copycats, then chances are good that you�ll get your patent once the USPTO works through its backlog. If a company has been ripping you off in the meantime, they stand to lose all the profits they�ve made up to that point plus triple damages if the inventor can prove the infringement was intentional. So while justice may be delayed, it�ll come down like a sledgehammer. Of course, you�ll only be able to take advantage of these eventual protections if your patent gets approved. There�s always the chance that it will be rejected instead, especially if it�s too close to an existing invention or too vague to be patentable. You�ll have much better odds if you get some professional help with the application process, but no one can really guarantee how the USPTO will react. Your application may also be rejected if you fail to pay all your fees on time. Still, if you do everything you can before you send in your application you should be in good enough shape to share your invention with the public and start making money from it. It�s because of this that the protection period begins from the application date instead of the issuing date, and so you owe it to yourself to make the most of the protection you�re given.